Sorry for the lack of blogging but my dissertation completely took over my life this month and now I am happy to say it is done so I will definitely be blogging more. 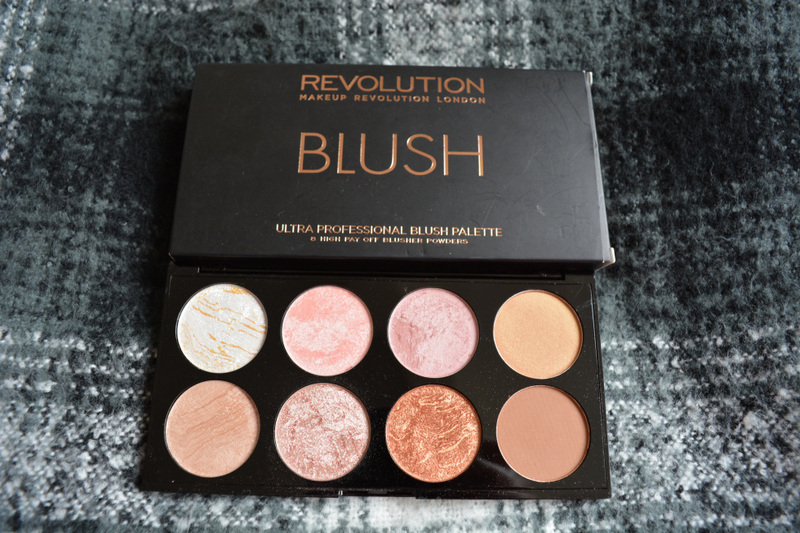 Over the couple of months that I have been doing my dissertation, I have had a couple of shopping breaks and during one of them I picked up the Makeup Revolution Blush Palette Golden Sugar. I have wanted it for ages and as soon as I saw it in the shops I knew I had to get it! When I first saw it online, I loved the shades and thought they would be perfect for my pale skin tone. The other Revolution blush palettes are a lot bright and whilst they are stunning, they would wash out my skin a little bit. All of the colours in this palette are so pretty and very shimmery, I have been using the pink shades the most and my favourite is the second shade (pink) on the bottom row. 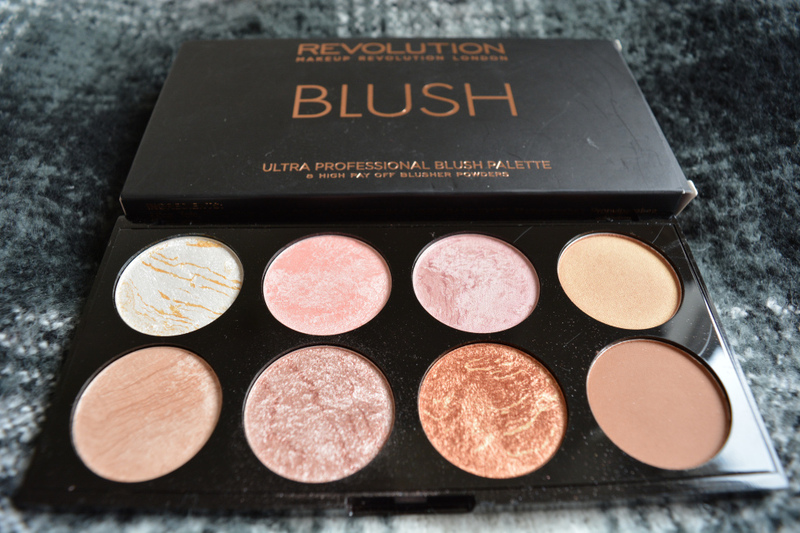 The quality of the Makeup Revolution blush palette is amazing and it doesn't cost a fortune. I have been really impressed with Makeup Revolution, their eyeshadow palettes are awesome and so is their blush palette! I cannot wait to try out more of their products and see what else they come out with. The pigmentation is impressive, the shades look just as good on and come across really well. I like to top up my blusher throughout the day, as the colours are stunning and I love the glitter. The quality is great so you don't have to top up if you don't want to as it will last all day. However, if you do you can easily slip it in your bag as the palette isn't big. The blush palettes only cost £6 which is a bargain and 100% worth it, two of my housemates went out and bought the palette once I showed it to them. I would definitely recommend it to a friend and it is my new favourite blusher.